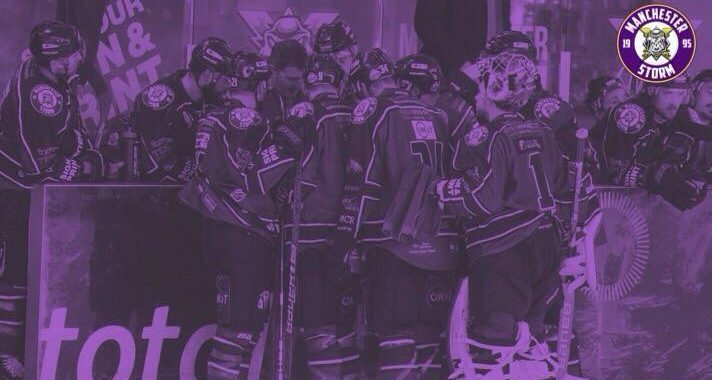 Tickets for Storm’s upcoming game against visitors, Glasgow Clan can be ordered online HERE, by calling the box office on 0161 926 8782, or in person at the box office. Last night Storm held their very first ‘Hockey Fights Homelessness’ campaign in the rink since re-forming, teaming up with homeless and housing charity – Shelter. The generous Storm fans did not disappoint. with bags upon bags of clothes being given to the Shelter volunteers around the rink. The club would like to thank everyone involved who made this happen, it couldn’t have happened if it wasn’t for you. 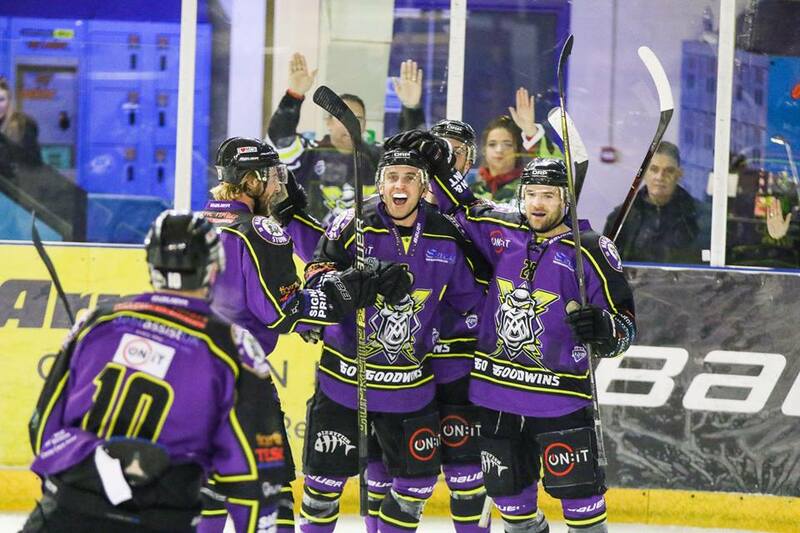 The game started energetically, when top Brit scorer in the league Ciaran Long picked up a rebound and passed it to Richardson who slotted the puck in, the second assist from Hammond at 2:53. Storm pushed forward again and put the scoreline up two goals at 4:14, scored by Moffatt top shelf and assisted by Ehrhardt and Linsmayer. Storm, however, were first to take a penalty, handed to Springer for cross-checking at 6:10. Storm defended well on the penalty kill; the only opportunities for Giants being gloved by Ginn. Giants pulled a goal back, their first of the night, scored by Rutherford with assists from Murphy and Raine at 13:48. Both teams battled it out for a while, getting their shots off when possible, playing a pretty even game. At 17:32, Giants scored their second with a wrist shot mid-net, equalising the scoreline – scored by Johner and assisted by Baun and Roach. Springer was sent to the penalty box for interference at 18:07. 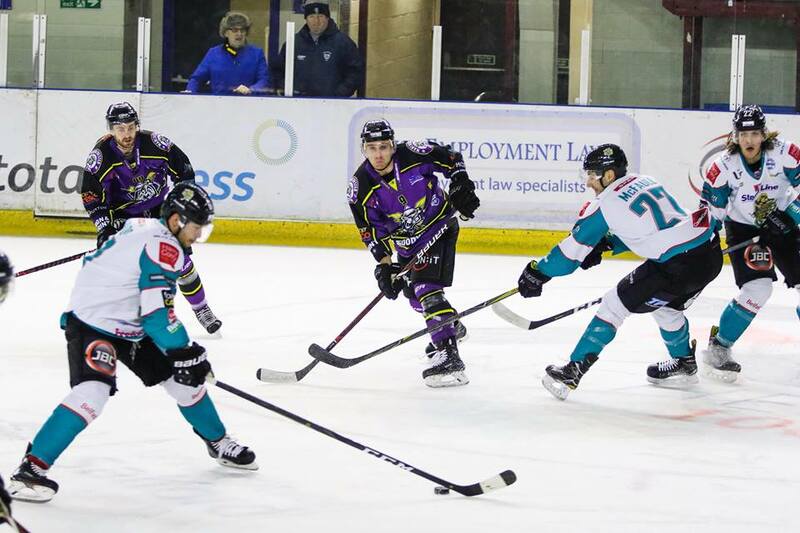 This was closely followed by a bench penalty, handed to the Storm for too many men at 18:45 – leaving three on the ice to kill a five on three opportunity for Giants. Given the situation, this allowed Giants their third goal of the evening, scored by Murphy and assisted by Rutherford and Roach at 19:44. Under two minutes into the second period, Storm found the equaliser when Richardson slotted his second goal in the back of the net, assisted by Hammond and Poulin. Giants took their first penalty of the night at 22:59, Rutherford being handed the two minute minor for interference. Storm had a strong chance for goal number four, as both teams scrambled around a loose puck. Just minutes later, Giants were handed two more penalties – this time to Johner for roughing at 25:07 and Ferland for holding at 26:40. During the limited amount of time on the five on three penalty, Bakker and Barnes broke out, only to be denied by Beskorowany. Storm fought hard to get one goal up on the opposition, but were unable to find a gap. In what was looking to be a high scoring game, it was Belfast who secured the upper hand on the scoreline, getting their fourth of the evening when Murphy put a rebound off the left-hand post in the net with assists from McFaull and Rutherford at 30:22. Their fifth goal appeared at 34:22, giving Murphy a hat-trick and the assists going to Roach and Leonard. In the final few minutes of the second period, Giants were given another penalty, handed to Ferland for cross-checking at 37:39. Linsmayer had a good shot on net with a one timer but was shut out by Beskorowany. The second period was a high scoring and more physical period, and it was up to Storm to push as much as they could to claim two goals back. Moffatt was handed a two minute minor penalty for tripping early into the third period at 40:37. 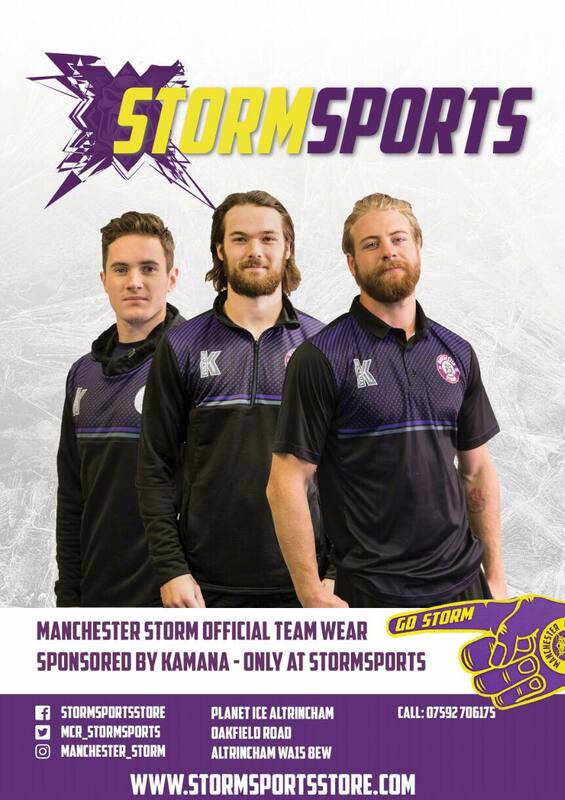 The next goal for Storm appeared out of nowhere, as Ciaran Long went on the breakaway short-handed, putting the puck in the net with the assist from Hammond at 41:43. Two minutes later, Springer took a check and was down on the floor with an apparent injury at 43:44. Giants’ Bishop was given a 5 minute plus game penalty for elbowing, giving Storm the upper hand to try and equalise on a five minute powerplay. Both teams held up strong, Giants not letting much through with brick wall style defending, but Storm pushing forward with every opportunity – not managing to even the scoreline. At 57:53, the odds were once again in Storm’s favour as Giants received a bench penalty for too many men on the ice. In the final minutes if Storm called timeout. With a face-off in the offensive zone, Ginn was pulled in favour of 6 on 4 hockey. The final 30 seconds were unfortunate for Storm, as the puck was passed from behind the net onto the stick of Murphy who tapped the puck into the empty net – the final result 6-4. Overall, it was a high scoring fast paced game with 43 penalty minutes, 10 goals and a total of 60 shots on goal. Shots on Goal: Tyler Beskorowany, 26. Shots on Goal: Matt Ginn, 34. Referees: Andrew Dalton and Tom Pering. Join us for the next Storm home game on the 26th December, as we host Boxing Day game against visitors, Glasgow Clan, 17:30pm face-off. PREVIEW: Storm Team up With Shelter for Hockey Fights Homelessness! Storm Visit Royal Manchester Children’s Hospital!